Today’s Guests: Roy Thomas and Danny Fingeroth, former Marvel Comics editors, co-authors, The Stan Lee Universe. Mr. Media is recorded live before a studio audience of former Marvel Comics editors lounging around in their Spidey Underoos… in the NEW new media capital of the world, St. Petersburg, Florida! 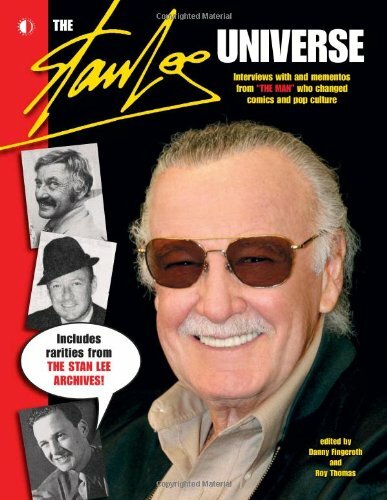 Order ‘The Stan Lee Universe’ by clicking the book cover above! Every Marvel Comics fan knows the names Roy Thomas and Danny Fingeroth, curators of a new book, The Stan Lee Universe. Both have been editors at Marvel Comics during its long and storied history and both have gone on to establish their credentials as comics industry historian. And both will be joining us in a moment. 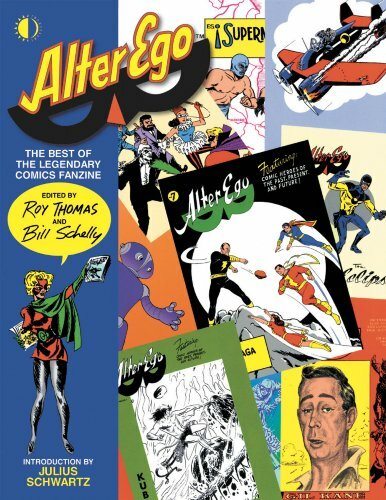 Order ‘Alter Ego: The Best Of The Legendary Comics Fanzine’ by clicking on the book cover above! Fingeroth, now a senior VP of education of the Museum of Comic and Comic Art in New York, was a guest on Mr. Media back in 2008 promoting his book, Disguised as Clark Kent: Jews, Comics, and the Creation of the Superhero. As for Thomas, the editor of Alter Ego magazine, I interviewed him for my biography, Will Eisner: A Spirited Life, at the behest of Stan Lee himself. Lee had told me about his exchanges with Eisner, two of which were quite eye-opening. In one, he literally solicited the creator of The Spirit and a well-respected publishing success himself, to take The Man’s seat as publisher of Marvel Comics. (Eisner declined.) In the other, he vaguely recalled proposing a humor magazine and asked Eisner to flesh it out. Lee said to talk to Thomas for all the details, which I did. For most comics fans, those too little-told stories of the history of the Marvel Comics Universe were delightful “What If…?” moments. Now Thomas and Fingeroth have come together on a project, The Stan Lee Universe, which collects rare memorabilia, letters and interviews with one of the greatest creators – and characters – in the known universe. It’s a really fun read and I heartily recommend it to you.